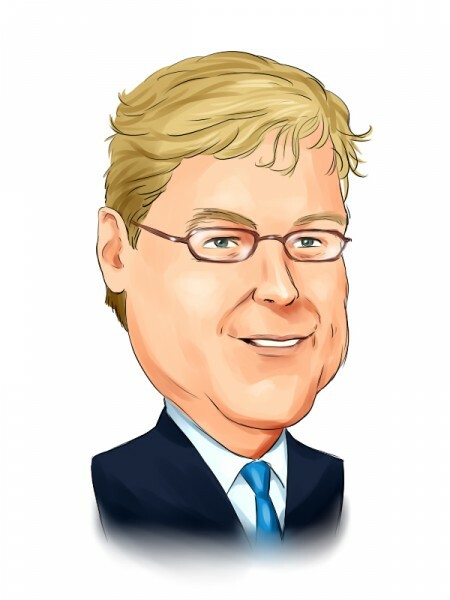 Odey Asset Management Group‘s Crispin Odey is among the few fund managers who started 2015 on a bearish note. In a presentation he sent to investors earlier in the year, Mr. Odey explained why he was increasingly becoming bearish on the equity and bond markets, something which he has reiterated in every piece of communication that he has sent to his shareholders ever since. Although the first half of the year didn’t pan out as Mr. Odey would have expected and several funds managed by Odey Asset Management slumped heavily during that period, the second half of the year seems to be going in his favor. During August, when volatility gripped the markets and several asset management firms witnessed large drawdowns, a large number of funds managed by Odey Asset Management, especially those with high exposure to currencies, began regaining lost ground. We at Insider Monkey recently laid our hands on the latest monthly newsletter sent to investors of Odey OEI MAC Fund, in which Mr. Odey again reiterated his bearish outlook. In the letter, he argues that quantitative easing (QE) executed by central banks in the past few years has resulted in asset prices getting bloated and valuations of Developed Market (DM) equities being “so extended that they will need to fall 30-40% to be compelling in terms of carry.” Even though a large part of capital managed by Odey Asset Management is currently invested in currencies and the fund has been continuously reducing its exposure to equities in the last few quarters, there are a few U.S listed stocks that it continues to hold in its portfolio. Considering the fact that Mr. Odey holds these stocks even when he is bearish on the equity markets overall, it is quite possible that these stocks might outperform the overall markets in the short to medium-term. That’s why in this article we will take a closer look at Odey Asset Management’s five largest U.S equity holdings at the end of the second quarter. Why do we track hedge fund activity? From one point of view we can argue that hedge funds are consistently underperforming when it comes to net returns over the last three years, when compared to the S&P 500. But that doesn’t mean that we should completely neglect their activity. There are various reasons behind the low hedge fund returns. Our research indicated that hedge funds’ long positions actually beat the market. In our back-tests covering the 1999-2012 period hedge funds’ top small-cap stocks edged the S&P 500 index by double digits annually. The 15 most popular small-cap stock picks among hedge funds also bested passive index funds by around 60 percentage points over the 36 month period beginning from the start of September 2012, returning 118% (read the details here). Having increased its stake in Goldman Sachs Group Inc (NYSE:GS) by 11% to 946,517 shares, the investment banking firm continued to remain Odey Asset Management’s largest U.S equity holding at the end of the second quarter. However, with an almost 17% decline in its stock during the third quarter, it remains to be seen if it can still command that position. After Lloyd C. Blankfein, the current CEO and Chairman of Goldman Sachs Group Inc (NYSE:GS) announced last month that he is suffering from a curable form of lymphoma, speculation regarding his second-in-command, Gary D. Cohn, replacing him soon have started making the rounds. Investing legend Warren Buffett‘s Berkshire Hathaway continued to remain the largest shareholder of Goldman Sachs Group Inc (NYSE:GS) at the end of the second quarter among the hedge funds we track, owning over 12.6 million shares.